I first read Carol Dweck's book many years ago and it made so much sense based on my experiences in both traditional and non-traditional learning environments. 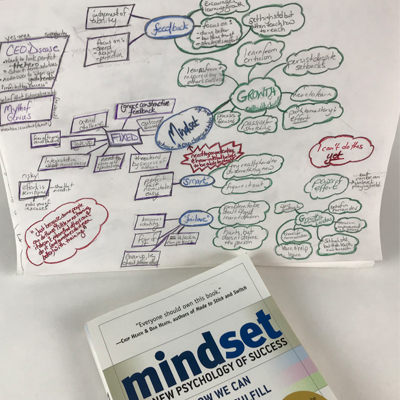 Whether a high school student preparing for a final exam, a corporate team learning how to juggle, or a 5 year old learning to swim, I have seen mindset impact the result. The book has gotten some traction with schools, colleges, and companies, but it still has a ways to go. 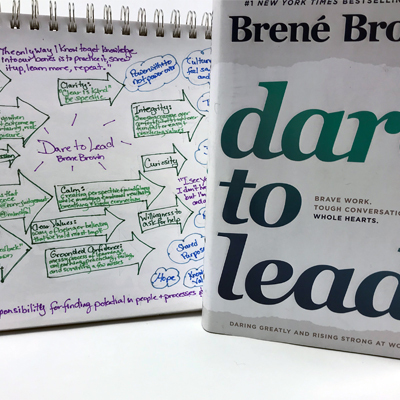 Last month, I delved back into Mindset and selected it for Leadership Lit, a book discussion group that I lead for my local Chamber. Choosing an education/psychology book for business people made me a little nervous, but the message of the book resonated and led to an engaging discussion. 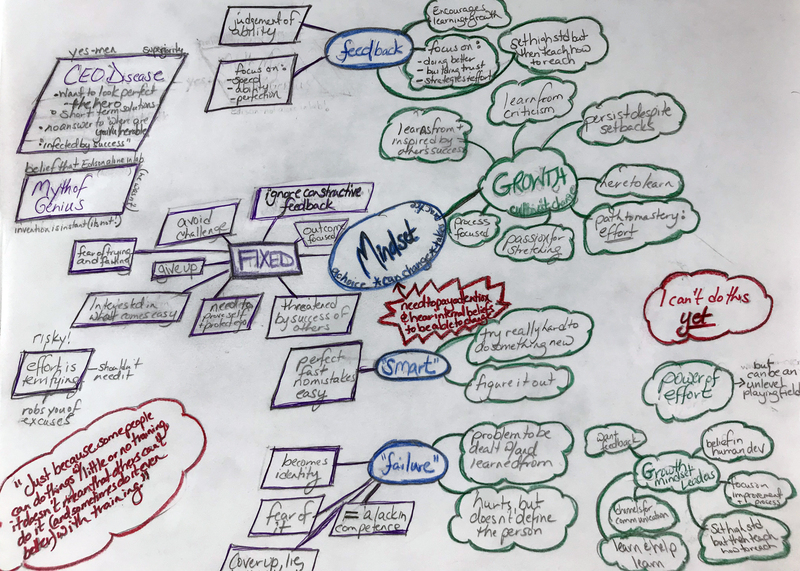 I loved hearing the group explore the themes and connect it back to their own professional and personal experience. What's my own experience with growth vs. fixed mindset? When it comes to my own academic learning, I approach it with a growth mindset almost unconsciously. I remember taking a college final exam and saying after, "I really liked that test. The essay question pushed me to make new connections that I hadn't seen before." Needless to say, my friends just rolled their eyes at me and my geekiness. What I didn't realize at the time was that my parents had instilled a growth mindset in me in this area by never focusing on my grades despite them being good, but rather on the effort I put in and how much I challenged myself. In other areas though, I've had to work hard at overriding the fixed mindset. I love that Dweck explains that mindsets can change, but it's not just flipping a switch. It takes continual practice and attention for me particularly in the areas of physical activity and creativity. In the drawing I made, look at the boxes coming off the one that says "Fixed" - I did them all when I learned to juggle. Or should I say, when I spent years NOT learning to juggle because I had given up trying. Paul taught me the steps and didn't understand why I wouldn't practice more. At the time, neither one of us understood that I was too focused on outcome, bothered by the fact that he was already really good at it, and frustrated by it not coming easily for me. Like so many of the people that come into our workshops I told myself, "I can't juggle. I'm just not coordinated." Years later on vacation with friends, one of them tried learning to juggle. And every time she dropped, she roared with the most infectious laughter. She persisted despite dropping and just had fun with the process. Most importantly, she gave me the permission to do the same. How could I not get up and learn alongside her - it looked like so much fun when she did it. Sure enough, that day I juggled for the first time. Taking the focus off the end result allowed me to explore the process, test out different solutions, and laugh while doing it. That's one of the main reasons that I love creating that space for the teams we work with to practice their own shift in mindset. To go from the juggler saying "I can't" and surprising themselves with what they can do. People will have different aptitude for certain skills and may have prior experience in developing them, but as Dweck states, "Just because some people can do things with little or no training, it doesn't mean that others can't do it (and sometimes even do it better) with training." Reflection: Since reading the book and being better able to step back, observe, and name growth vs. fixed mindset, I try to periodically ask myself and pay attention to the following. * What's a new way I can challenge myself to stretch and practice growth mindset? * What have I been I avoiding? * When I feel friction or nervousness, where is it coming from? Tara Mohr has a great blog post about different types of fear which sounds a lot like what I've experienced when I've approached a situation with a fixed vs. growth mindset. * What's the one skill I'm going to work on here? This really helps when I'm approaching something new and big. By focusing on one piece of it, I'm focusing on improving some piece of the process or testing a new strategy and not evaluating the whole thing as one big "success" or "failure." 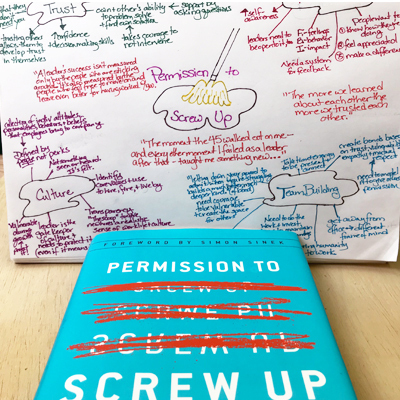 [Writer's Note]: If you look at previous entries in the Blog Library, you'll notice that this one has a different style and it was only in hindsight that I realized the appropriateness (and irony) of making the switch with Carol Dweck's book. The library entries have challenged me the most in terms of creating content for our blog. 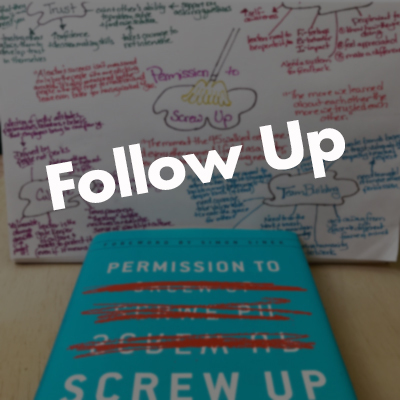 I knew that I wanted to share what I have been reading, but I didn't just want to do a book report summarizing the main ideas of a book and then connecting it to Flow Circus because that would seem like not-well-veiled self-promotion. I tried a few entries using the "My 3 Takeaways" model that you'll see if you go back. That felt better and allowed me to reflect on my personal experience with main ideas from the book. But they seemed to be taking me a long time to write and I wasn't having fun doing them. Last week, when I reflected on this I realized as with many creative areas, I approached it with a fixed mindset. I focused on what blog entries "should be" particularly when talking about academic work, avoided it because it was challenging, and was concerned by what I could really add to the conversation.